This month I want to diverge from my usual model of picking the most interesting comments from across the blog. As discussed above, the focus this month is on itSMF. I have limited this month's pick of comments to this topic (despite some tempting material on Service Strategy, ITIL 3, certification, and other themes). This is still only a sampling of excellent and fascinating thoughts from many sources. I recommend readers dig in to this material and ponder your association. Now call my BSc in Mathematics a waste of tax payers money but even my 5 year old and 7 year old might be able to count the fact that the model as described in the current literature has EIGHT boxes? 2) If true, what was the scope of the interference? 3) Who did it, for who and why (this is where I hope the Board will ask for Dr. Linden's help rather than see her as the 'enemy' in all this? 4) Did it undermine the mandate of the current Board and what should be done to fix that? what is the relationship (on paper) between itSMFI and TSO? Are they just a reseller? How does it square with the acquisition by itSMFI of the Dutch ITSM Library? itSMFI is beginning to look like Amazon.com without a strategy published to its members... On that point - what do the members want? have they been asked? HELLO???????? Member here! Does anyone at International, or the local Chapter come to that...ever ask what they wish for them to do?????? ...Is this all part of an overall business plan for 2007/2008 - if so can I get a look? Good stuff! itSMF is being talked about...Regarding the role of itSMF, Skeptic is partially correct and it's true, the articles of association of itSMF do not specifically mention supporting the members. The title, IT Service Management Forum, says it all! itSMF is here to create and maintain a forum for interested parties to share best practice in ITSM and to procure the means for doing so. Its membership comprises in the main, the people who use this facility and so itSMF, in whatever guise, would do well to listen to its members and other customer's interests, needs and wants. itSMF does have a contract with TSO/OGC for the translation of the new ITIL books as well as the re-selling of these books. It is also both capable of writing new material and of procuring other organisations/author's materials too, should it be asked. It has however, to do this in the interests of the wider community and in an open, honest, transparent and accountable manner. It remains a "not for profit" (perhaps a more accurate description would be "not for dividend") organisation but this does not mean that it is not commercial in its business delivery. default, in absense of anyone else doing it. The fact that the itSMF has failed for years to see the need and officially step up to the mark is sad indeed. It is indicative of the fact that far too many people in power in the itSMF community don't give a toss. Now a sub-group have been allowed to pursue this objective independently, the IoSM, with the blessing of itSMF, when blind Freddy could see itSMF should have taken the role. Money made by itSMF is ploughed back into ITSM, except for the money that goes to pay for itSMF International and all those who make a career of being the ITIL elite. In return they serve, and make possible the ITSM movement, so it is a fair trade. Except for one word: transparency. Who decides how itSMF International money is spent? Who decides how often and where the Board should meet in person? Who decides how many itSMF should attend conferences and which conferences? How does the membership know who went where and how the money was spent? How do we know what we got in return? More to the point, how do we get a say? Now Keith, don't get disingenuous on us. If 5% of my chapter's income goes to itSMFI, then 5% of my dues go to itSMFI. "It's not that money it is this money over here" is a basic sleight-of-hand that gets past no accountant. ...Its time for every member to check the vision, mission and strategic plan of their local chapter and ask themselves a simple question - is it something I believe in and can support? Perhaps the alleged election scandal here in the USA is a good thing - it might focus the members on the Association, its mission, why someone would dare to interfere with its mechanics. ...Growth is a function of the association's ability to perceive changing member needs and to extend offerings which are better solutions than those offered by competing organizations. The operative phrase here is competing organizations. That noise you hear may be another association that satisfies the professional knowledge that the service management community eeds to acquire, sucking the itSMF membership away. It is important to moderate vendor influence. However, as I have said before, vendors are people. There are crooked and greedy and otherwise undesirable non-vendors too. Any systemic discrimination against vendors is unethical and unnecessary. ..."By the members, for the members"...if this gets evolved into "by the vendors for their potential customers" it is not what I meant as itSMF. ...if you “staff” an association with its volunteer members, they will without a doubt run the association into the ground. You employ professional staff to run an association. Show me one person on the ITSMFUSA governing board with any entrepreneurial experience. Show me one person that has profit & loss responsibility in their professional job sitting on their board. I’m sure you’ll hear declarations that one or two have $10M or $15M budgets, but, are they responsible for producing that income or are they allocated that expense? ...Vendors are a necessary part of every association, generally they are the deep pocket that started many an association and the one the aaociation taps for new initiatives. They have as much interest and make valuable contributes just like the industry members. Controlling the environment in which they participle makes them productive and generally controls their influence. This is no secret, and they know it was well. Giving them a stake early on to take their money and letting them hold you hostage is their good marketing and the association’s mistake...Governance seduces you to think inside the box. In a rules are for fools corporate board room where board members what the next microwave, VCR, walkman or iPod to create return for their shareholder, they’re not running marketing or accounting or R&D. They’re coming up with ideas! They’re proposing the future...There are two kinds of leaders where change is concerned: Those that think about the future and determine how best to position their organizations to capitalize on emerging trends, and those that choose to respond to changes that threaten their organizations. What good does it do to raise the skills of the staff if you don't utilize them in the first place. As a model, I'd suggest starting with the real professional organizations: the Association for Computing Machinery (ACM), and the Institute of Electrical and Electronics Engineers (IEEE)...they remain the gold standard. We need something along these lines, backed by peer reviewed journal(s) and academics declaring their primary allegiance...The Society for Information Management (SIM), the Association of Information Technology Professionals (AITP), and the Data Management Association (DAMA) are all in the mix. 1. Have its member’s professional development at heart of its agenda. Let's face it, itSMF has been a front for self interest for years. But try to raise this in some places and the likes of Jan van Bon shout you down, as they seem to see nothing wrong, and even today push itSMF at the expense of all else...They are NOT part of the open movement. They are NOT an open forum. They are NOT driven to serve their members as their prime objective. Yet they generate a fortune and spend it on what? On their own jolly hierarchy, their own secretariat, their own get-togethers ...APMG really are an awful development, but at least they accept openly they are driven by profit. Be assured, "the likes of Jan van Bon" see plenty of stuff that goes wrong. At least, I do. But that has never withheld me from working in and for this community. And it's not a self-interest issue. Believe me, my wife and I could both have driven a Rolls Royce if I would just have sold my expertise in the format of consultancy hours, like so many of my esteemed colleagues do. I just like this field and I see it as a great privilige to be able to contribute to it. Then there is the Institute of Service Management (IOSM) however despite being a member I’m not wholly sure what it does other than add a line to my CV. As I'm already paying subs to the BCS, itSMF and ISOM I'm not sure I'd want to be paying yet another chunk of money out for another body to represent me. Perhaps the IOSM could take on this challenge for its 380+ members. ...as the 5% tythe really cuts in, V3 sales take off, new revenue streams come on line, and the global members pay up. And absolute figures aside, I still think we should see the breakdowns of how it came in and how it went out. ..Turnover will far exceed a million. You have forgotten the V3 rollout. Add in five sponsors at over a hundred thousand dollars each. I imagine they as much as anyone will be looking for better financial reporting this year!!! Hey come on - give the guy a break. We are already getting more information from the new CEO of ITSMF on its activities than we've ever had before. Continual sniping and demanding will not make things happen any quicker. Do not let your behaviour get in the way of something positive - that is just being churlish. 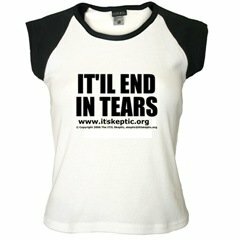 Well done Skeptic and well done Keith. The itSMFI has always worked in a stealth mode. Information has alway been slow to come from them, and when it does come out, it has been drug out. Keith seems to have opened that door and perhaps can make some changes in the perception that the international is worthy of support. That being said, what's going on and what can be expected it the months before the next AGM? Aren't elections due this year? Have nominations surfaced, or will they do it the way the US does it, the old fashion Chicago style. Look, let's get this clear once and for all: the itSMF does not exists to represent the interests of its members. Many people seem to be under that illusion. I have said this before: the itSMF is not an ITSM practitioners' society, despite the "forum" in its name. Its purpose is not to give the ITSM community a voice, or to represent or certify ITSM professionals (though I think it should be). Read the itSMFI website. I guess ISACA are the governance gurus and itSMF can be forgiven a little shaky governance right? Why should every chapter bother with published accounts? In a tough year, of course an international team needs to meet face to face every quarter – there is only so much you can do with teleconferencing. Is there a best practice for a Board to extend its tenure, or even try to avoid elections entirely? And what’s a wobbly election process between friends? The backstabbing and undercutting going on over the ITIL V3 book sales is good news for consumers, but less so for local itSMF chapters, or for those who'd like to see the ITIL world as a respectable place. I can confirm that TSO sold direct to one or two of the Big Four vendors, causing orders with itSMF to be cancelled. The discount was reportedly 40%. Now TSO doing the dirty on itSMF is good for consumers. With a bit of luck TSO might get into a price war with their own channels. It is not much sillier than what is going on now. The IT Skeptic is pleased to announce the launch of BOKKED™: the Body of Knowledge Known Error Database. With typical megalomania this is designed for any body of knowledge whether it be ITIL or COBIT or whatever, but the intent is obviously to first capture any errors we may find in ITIL Version 3 books. My books arrived this morning so I'm making a start. Please add Known Errors as you find them too. We have spoken at length on this blog about the unseemly commercialisation of ITIL. Many firms feed at the trough right now, but the IT Skeptic predicts the trough is about to get higher and harder to reach. Now here's a thing. A reader has uncovered a most interesting deletion from the ITIL V2 Service Support book. Don't miss the ITSM Weekly podcast and other blog posts from the inimitable ServiceSphere (Chris Dancy) and the Matts-squared, Baren and Hooper. I enjoy reading Aidan Lawes on ITP Report every week - he out-skepticks the Skeptic! So too does Aale Roos on ITSM Portal. James Finister has a great blog Core ITSM. Very useful thoughtful skeptical views on ITIL in particular and ITSM in general. I don't agree with everything he says, which is also a good sign. I see it having an idealogical connectioin with my own ideas of Core Practice: cut the crap, don't gild the lily, look for the key necessities. David Ratcliffe, the Pink President, is deep in the world of ITIL but certainly not inside Castle ITIL. He doesn't post often. It is well worth reading. I get great value from Terry Doerscher. ITSM Portal is THE source of ITSM news, as well as great directories of tools, organisations, frameworks, and magazines.. I don't quite understand how someone so geeky can be so interesting but Michael Coté at Redmonk manages it, and with a suitable dash of skepticism too! Mike Rothman's Daily Incite is skeptical, cynical and technical. DITY newsletter combines skeptical and practical advice - excellent stuff. ITSM View is an ITSM-related blog that certainly seems to be taking a critical look at things. The Datamation forum sees less traffic than some but is less up itself. But then I write for them so what do I know? Rodrigo Fernando Flores does a nice line of common sense, backed up by solid experience. Lots of good Service Catalogue resources here too. If you read German... Even if you don't, use the Google translator and you can usually work it out. It is worth the effort. I have got some great info from this site. ..and for the Spanish speakers amongst you: Antonio Valle's "Gobierno de las TIC. Conocimiento Adquirido". Somehow CalvinBall seems so relevant. Note: this is the original "dead elephant" post from back in 2006. My thinking about CMDB has matured since then. Please see the articles (and book) in the sidebar of this article for a more complete picture of how I now see CMDB, and a much wider range of ideas why CMDB or CMS is - for most organisations - a bad idea. [Updated: My review of ITIL V3 "Service Strategy" is no longer available at the original website so I am reposting it here.] If V2 taught us how to walk, V3 teaches us to run. Trouble is, many organizations are still sitting down. Many readers will be aware that the new ITIL Version 3 certification scheme requires 22 points for a Diploma (the old masters'/managers' certification). So what a surprise that V2 Service Manager plus Bridge course end up with a score of 21.5. I just read Larry Cooper’s article in the latest DITY newsletter: A CMDB Runs Through IT. 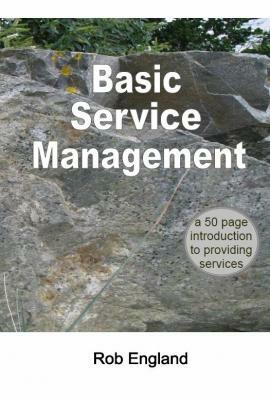 Larry’s assertion is that “Good IT Service Management is simply not possible without” a CMDB. My reaction: balls! A posting on the UK itSMF member's forum by Sharon Taylor, Chief Examiner, resolves a few issues with the ITIL V3 qualifications scheme, including the 21.5 credits issue. It also states that "this is still work in development and many discussions are taking place to ensure the final form of the scheme..." So perhaps APMG's announcement was a little premature, because it certainly didn't mention any further "work in development". People want to believe that "magic happens" [why is that bumper sticker so often on cars that look like not much magic happened to them?]. Vendors know this and exploit it by selling magic. BMC's Ken Turbitt recently put out a paper "can you really get ITIL out of the box?" One correction to my recent itSMF revenue guesstimates. There are currently six global members (read: sponsors) not eight [and now this article is corrected again: there are SIX not five. Will the global sponsors please stand still... no my error this time]. I had a woo woo moment when I saw this - I could have sworn there were eight there when I looked the other day. It could be that it was updated very recently or it could be we see what we expect to see. Thank heavens for Google cache: I'm not going potty. Since the IT Skeptic is banging on about transparency, I thought a disclosure of this site's motivations might be in order. There is an agenda here which, whilst not hidden, has not been discussed. I want to be an internet entrepreneur. In the past 18 months I have been on a tremendous learning curve to acquire all the social, business and technical knowledge and skills required to do this. As one more item in the growing pile of evidence that the ITIL community has become the ITIL industry - that professional decorum is giving way to avarice - I just received my first ITIL spam. Whilst it makes a change from modifying my reproductive capabilities, it is none the less spam, and the fact that it comes from a reputable company is all the more disappointing. For those of you who have been losing sleep over it, latests news on the CMDB Federation has it inching towards a standard for CMDB federation. [Go on, click the Federation link: kinda says it all really]. According to one HP developer's blog, the group has moved beyond UML to XML and are now coding in preparation for an "interop" when they will test their tools together. They should sell tickets. I for one would pay to see BMC, CA, Fujitsu, HP, IBM and Microsoft all discussing who is out of synch if it doesn't work. How to get best use and maximum value from this site.